Additional testimonials and comments from our clock customers for 2013. We promise we will always do our best for all of our clock customers. I had placed an order on the with you just a few Rhythm Mantel Clock days ago and I was delighted on how fast I received it! I was so blown away by the beauty of the clock and then when I heard all the Heavenly songs it played, All I can say is; WOW! 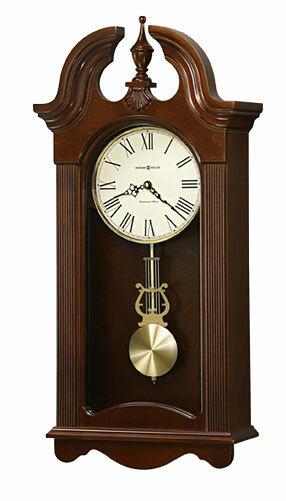 I was truly amazed of the quality of sound that came from this clock. You find yourself humming the tune after you here one of the songs play without even knowing it. I know I will cherish & enjoy this clock for many years to come. I never knew they made such a clock that played so many rhythm’s. My Sister from California was on the phone when the clock played 2 of the tunes, Yes we talked for over 2 hours! I had her listen and she said it sounded so good over the phone! I asked her if she would like a clock like this for Christmas and she said; ” I Would Love It!!! So I ordered her one for Christmas! I know it will be here in a flash! I Love your return policy and how you are a family owned business. Not many of those around anymore sad to say… I am so glad I found your Company online! I am grateful and I am one Happy & One Satisfied Customer. Must say I love my clock and it was a great purchase. I listen to it at night when I cannot sleep, or if I wake up and wonder what time it is. It keeps almost perfect time, maybe loses a minute a month at most, but chimes exactly as expected. I have recommended you to many people, but I don’t think they are serious about fine instruments and great furniture. I will continue to recommend you in case someone decides to make a purchase. If you have any deals, let me know and I will pass them along. Clock was delivered safely yesterday and I just took a peek at it today. Wow! Absolutely beautiful! Just wanted to thank you again for your impeccable customer service and helping me along with this purchase! I can’t wait to give it to my husband! 10-18-2013 Thank you Joseph, I enjoyed very much speaking with you today, as well. Thank you for being one of those kind of people that make this world a better place to live in. 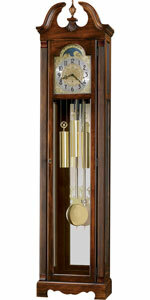 Looking forward to the beauty of the floor clock, both for the sight and sound of it. I got the clock, and it’s beautiful. I appreciate the great customer service and the timely shipping. I’d wager it against any other clock in the world! LOVE the clock… and I’d wager it against any other clock in the world! Thanks for the speedy processing. My parents were very happy with their new clock! I just wanted to say thank you for your kind assistance with my order. It arrived on Monday. My parents were very happy with their new clock! Received order Thursday evening, your service truly impressed me, which says a lot since I spent 10 years on the distributor side of the industry. Way to go, you Rock!! I wanted to let you know that my mother LOVED the clock, as did I. It was beautiful and looks lovely in her beach house. The clock arrived Thursday! Thank you very much. Will be ordering another in the near future! We got our clock and absolutely love it. My order arrived today. Very pleased with the clock. Thanks – the clock is wonderful! I appreciated being kept informed. I received the clocks yesterday afternoon and everything looked great. Again, thank you for your assistance and taking the time to speak with me on Wednesday. I am glad to have found a local merchant to do business with. I will be in touch the next time we need to place an order. Thank you so much for all your help. I look forward to working with you in the future. Have a great day! Thank you for all your help…. Thank you for your help. I will be sure to recommend you. 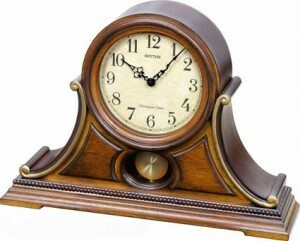 This clock is over 100 years old (LFS were the makers), It feels really good now to hear the rhythm being balance. 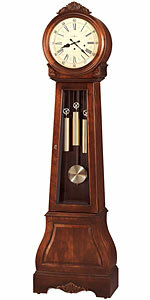 We really like the new clock & its harmonious chime!! Ordered. Thank you – you’ve been very helpful! Clock arrived and is looking great on my kitchen wall. I received the clock today in excellent condition. 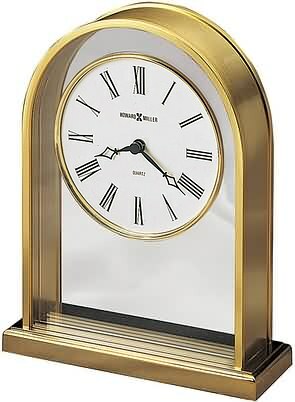 It is a terriffic wall clock by Hermle. Quick service and exactly what I was looking for! My carriage clock arrived back here yesterday. Thanks for your prompt attention and service. Thanks for getting that out today and getting it on to priority mail. Looks like we’ll be coming to you for other purchases. I chose you over Amazon so it looks like it was the right choice. 10-18-2013 Hi Robert: I received the clock last evening. It is beautiful! Great! Thank you Robert, so very much! Thank you for all you have done. Regards, Jodi N.
10-13-2013 Hi again Robert, Thank you very much. We look forward to many years of enjoyment. This is in celebration of our 30th wedding anniversary. Cheryl H.
Robert, I ordered my clock yesterday at 3:59 pm and it was delivered by UPS today at 1:39 pm. Less than 24 hr’s from The Clock Depot to my house. Thanks for the Quick Service. Received the clock today and she loves it. We received our clock yesterday and it’s great! Hi Robert, Just wanted you to know that we received our clock yesterday and it’s great. We love it. Thanks for the recommendation. 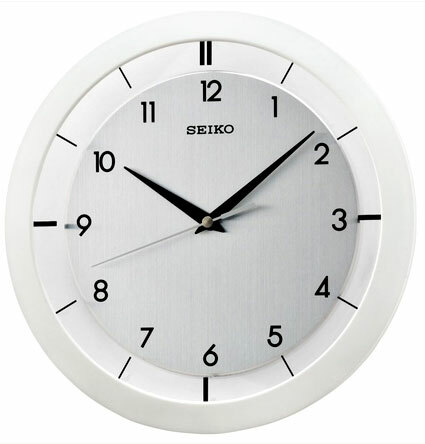 All the best, Kevin B.
Robert, My first business with The Clock Depot, and I hope the process from this point forward and, of greatest importance, the quality of the Seiko clock itself are as impressive as the rapidity with which you responded to my order. Thanks for the promptness. I ordered a clock from you and I was having a problem getting it before I left for Arizona because of a big winter storm. I just wanted you to know that we returned home and our clock was here and it’s working in great shape and we’re real pleased with it. So thank you for packing it so well! Thanks so much for the quick service! Thanks, Robert. Just wanted you to know the clock arrived yesterday in fine shape. The clock was easy to set up and was working and chiming properly within the first hour! It’s not hanging yet, but looks very nice sitting on the table top. Thanks so much for the quick service! Phyllis G.
Just wanted you to know that our clock arrived in good shape on Friday afternoon. Again, we greatly appreciate your help in this matter. Your firm has made a life-long customer and we will certainly recommend you for any future clocks for our household from your firm and will recommend you to our friends and acquaintances.